Part of an exclusive and peaceful waterfront community located in New Port Richey. 4 bedroom 2 bqth rental villa with private pool for up to 9 persons. This spacious, tranquil yet modern villa, delightfully situated in Sea Forest. 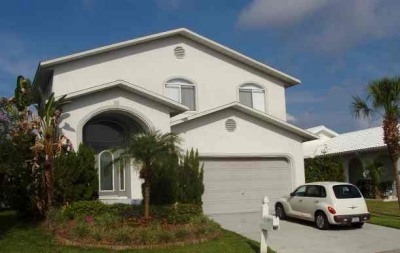 Part of an exclusive and peaceful waterfront community located in New Port Richey. Fully air conditioned accommodation on two levels, connected by wide open plan stair case. Dining area and family room overlook pool area. Four bedrooms, two full bathrooms and a powder room, sleeps nine in comfort.